Firstly, I’d just like to say thank you again to Circus Wheel Productions and Writer/Director, Brett Bentman for allowing me early access to an online screener of his latest film “Kreep”. 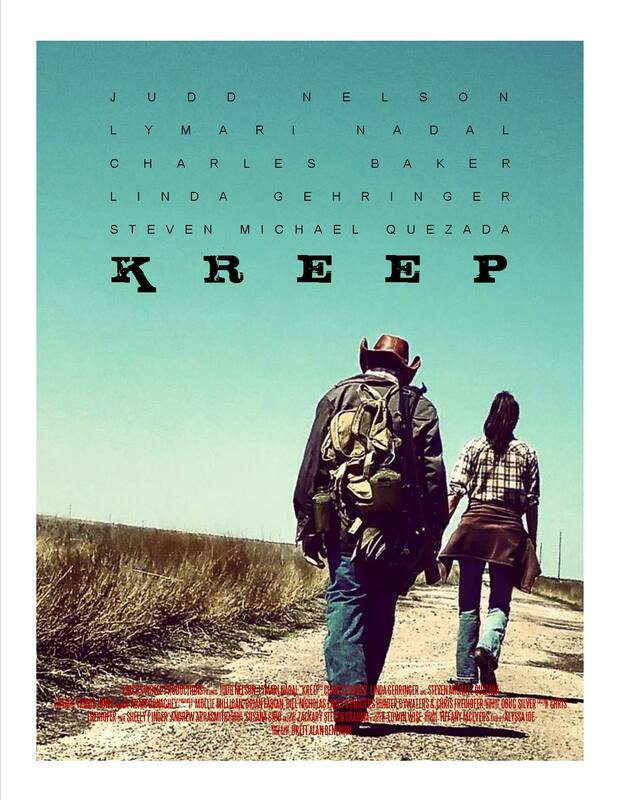 Kreep is a Crime/Drama that follows a young Hispanic woman, aka Kreep (played by Lymari Nadal), whose being pursued across West Texas by the dangerous bounty hunter, Grady (Charles Baker from TV’s, Breaking Bad). Along the way she crosses paths with farmer, Whitman Thaw (Judd Nelson from The Breakfast Club) and together the two are thrust into a life or death situation. The film also stars Steven Michael Quezada (Breaking Bad), Linda Gehringer (TV’s Justified), Mollie Milligan and Damon Carney. I recently reviewed Bentman’s two previous films, “Apocalypse Road” and “The Night Before” *see reviews* https://adamthemoviegod.com/apocalypse-road-review/ and https://adamthemoviegod.com/the-night-before-review-2/. Apocalypse Road was a gripping drama about two sisters fighting for survival in an ever changing world and The Night Before was a home invasion thriller centered around a mother and her daughter on Halloween. Brett’s latest venture feels a little like an old school western, but with heavy dramatic themes, again very different to both of his other films. If there’s a constant in his work it’s the importance he places on character relationships. 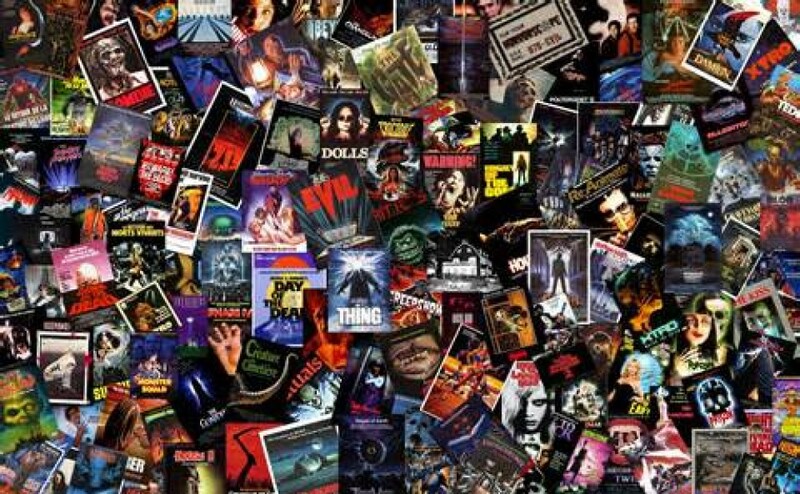 After having seen three or four Texas-based films back to back, I get the feeling that whole setting is automatically going to get me on board anything Circus Wheel Productions puts out in the future. As it is I’m a pretty big fan of Western’s and there’s no better place to shoot them than in Texas. Once again Bentman delivers on high production value, making the most of minimal locations and a few recognizable faces. Both the audio track and dialogue are nice and clear. The cinematography in each of Brett’s films has been a cut above what I’m used to seeing in the world of independent film (at least outside the confines of horror). Michael Ray Lewis was the DP (director of photography) on both of Brett’s previous films so I was surprised to see Travis Jones taking the reigns here. I wasn’t sure how another set of eyes would affect the aesthetics, but that was quickly put to bed after a series of gorgeous aerial shots over the Texas plains, not to mention a number of other wonderful establishing shots of property fence lines, fields of hay and bare highways. Everything is nicely framed and the clever focus pulls and zooming techniques scream professionalism. My favourite sequence of shots sees the lens aimed up from the dirt, focusing on Grady and his right hand man Slopes (Derrico Thomas) as they’re tracking Kreep. I was looking forward to hearing what type of score Brett might have opted for here, especially considering this has more of a western vibe than anything else. There’s plenty of that complementary acoustic blues guitar, but it’s the inclusion of both banjo and mandolin that help give it a slightly different feel. Some effective violin strokes are also thrown into the mix during some of the more suspenseful moments. Given that more than half of the film takes place outside, I thought Brett and his crew battled the lighting issues extremely well. As I was watching things play out, I had one eye on continuity regarding the weather and how this might have been cut together from all the footage. You can usually hide some imperfections during the color grading process but overall this was really well blocked, a wonderful job by the grips. There’s no intense light piercing the frame or the actors faces and all the internal bar and house scenes are suitably lit as well. I’d be lying if I said Judd Nelson wasn’t a big part of the reason I wanted to check this one out. He turns in a very fresh performance, playing a recluse farmer whose fallen on hard times emotionally and financially. This is much more of a reserved an internal performance than it is a scene stealing one. Lymari plays the principal character of Kreep and you’re not completely sure what to make of her. She’s made some poor decisions and occupies that grey area for most, if not all the film, but it’s that age-old saying of desperate times call for desperate measures. The brief reunion of BB alumni in Baker and Quezada will be sure to warm a few people’s hearts (even though they don’t have any scenes together). Baker gets to play something with a little more backbone than “Skinny Pete” and he does a serviceable job playing a pretty standard antagonist. Much the same as in “The Night Before”, Quezada plays a cop who only appears in a brief sequence, but he does what he can with it. The secondary female roles of Isabella and Millie (played by Gehringer and Milligan respectively) were welcomed additions. In Brett’s previous work, namely Apocalypse Road, the secondary characters had no real arc or bearing to events or furthering the plot, but I’m pleased to say that’s not the case with Kreep. Both women deliver punchy performances and are perhaps solely responsible (along with the writing) for winning me over with the direction the climax takes. Right from her opening moments on-screen Kreep is quite a dour young woman, seemingly stern and stubborn which makes for a tricky protagonist to want to root for. As a few layers of her metaphorical onion get peeled away we start to learn a little more about her during the journey with Whitman. There’s a scene early in the first act where the two stop in to see her stepmom.. foster mom (one of the two), any who… needless to say, the two have never seen eye to eye and a connotation of violence and abuse from the past is clearly evident. After copping an earful from her terminally ill former guardian, Kreep storms out only to come back moments later with her own barrage of insults. The sequence itself might have been powerful with better delivery, but it’s diminished with forced dialogue and a misplaced piece of fusion music in the background. I felt that most of the shortcomings in the film were simply due to lack of conversation between our two lead characters. That argument is two-fold though I suppose, because one, you want any bond between two characters to feel like its grown organically across time, but on the other hand you need to give the viewer enough to warrant them sticking with it for the long haul. I know in life we don’t always dive right into divulging everything that’s made us who we are, but in Kreep when there were times that felt appropriate for things to be revealed, they weren’t. Nelson’s character doesn’t seem at all phased by the situation he finds himself in, now in light of the things we come to learn I suppose that can be understood to a degree. It still doesn’t explain why he didn’t immediately ask where she got the money from before making a decision on what to do. Why would he get involved? I’d say the financial incentive but he didn’t seem to place much importance on his land nor remaining on it. I wanted more exposition surrounding Kreep, not just a bare bones outline, so that way when push came to shove I could actually care. Why had she left the child? What had happened to her partner? Why was there question surrounding who the father was? A few to many questions were left unanswered to fully satisfy me, and I don’t know if it was some of her dialogue or just a lack of conviction from Nadal, but her performance came across as somewhat inconsistent. I was also a bit disappointed that the action wasn’t a little more gritty, save that final showdown. Circus Wheel Productions have been working flat-out, having shot three or four films in the space of a couple of years, each one very different from the next. 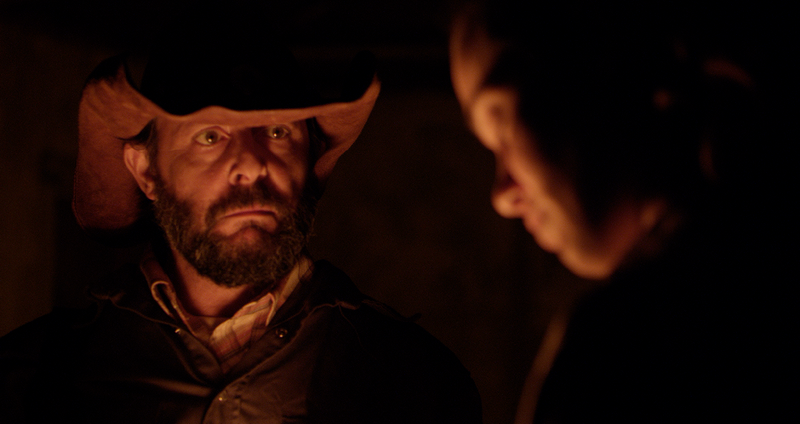 Kreep is like a cross between the Coen’s remake of “True Grit” and the Australian, Crime/Drama “The Rover”. I like the western genre themes and the Texas setting which is perfectly showcased through outstanding aerial shots. 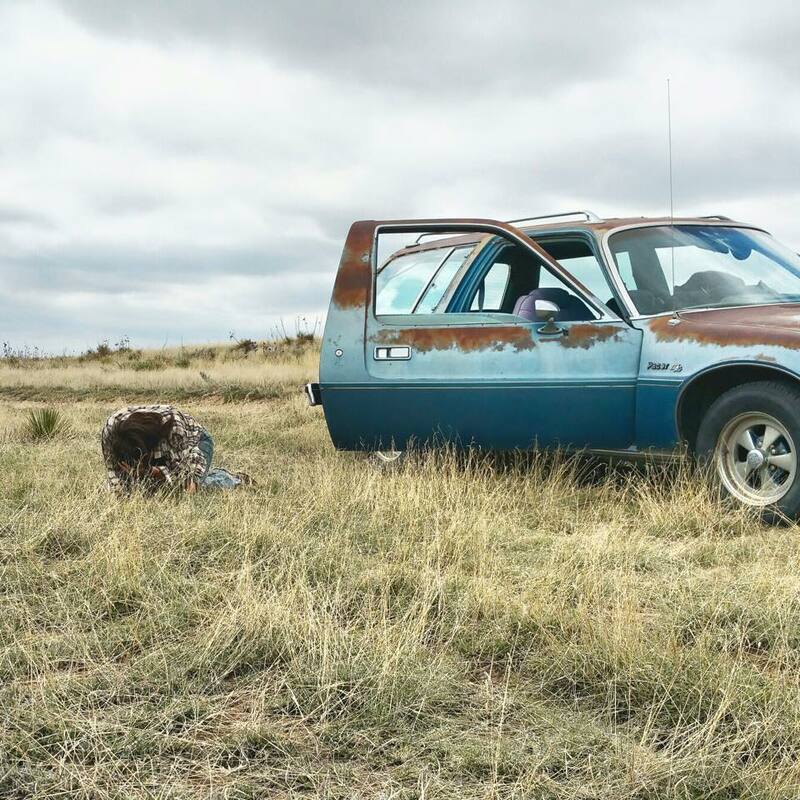 The cinematography is slick, the color grading bleak, and the lighting expertly established when you take into account the challenges of an outdoor shoot. I really like the unique mix of instruments used in the score and Bentman’s frequent ability to cast the right people in the right roles. It’s great to see Nelson doing something completely different, Baker as more of a heavyweight and Nadal return with the first film I’ve seen her in since “American Gangster”. I think the film’s strongest aspect has to be those interesting secondary characters of Isabella and Millie (the details of which I won’t spoil). I don’t have a lot of complaints with Kreep other than the lack of conversation between our two lead characters, that and the fact that we don’t really learn much about them until it’s almost too late. I think Lymari’s character and performance are going to divide audiences and that might determine how much you’ll get out of this one upon repeated viewings. It’s a quick run time of 75 minutes and there’s plenty to like here, so be sure to check out the trailer and keep and eye out for its official release!